New York City’s JFK Airport is located near an eclectic mix of restaurants, movie locations, a wildlife refuge, a beach made famous by The Ramones, and the only Little Guyana in the United States. The AirTrain provides a quick, hassle-free connection to the A-train (via Howard Beach). As a result, you can skip the overpriced, cookie-cutter airport food, put your laptop away, get out and explore Southeastern Queens, and be back at the airport in less than an hour. Open all year round from sunrise to sunset, Jamaica Bay Wildlife Refuge has one of the most compelling bird sanctuaries in the Northeastern United States. The serene landscape can make you forget that Times Square is only 15 miles away. The visitor center is open until 5 daily (4 on the weekends). There is no charge. Rockaway Beach, immortalized in the 1977 Ramones classic tune, is the largest urban beach in the United States. At four miles and roughly 100 city blocks, it is also New York City’s only legal surf beach. More people immigrate to New York City from Guyana than from any other South American country. 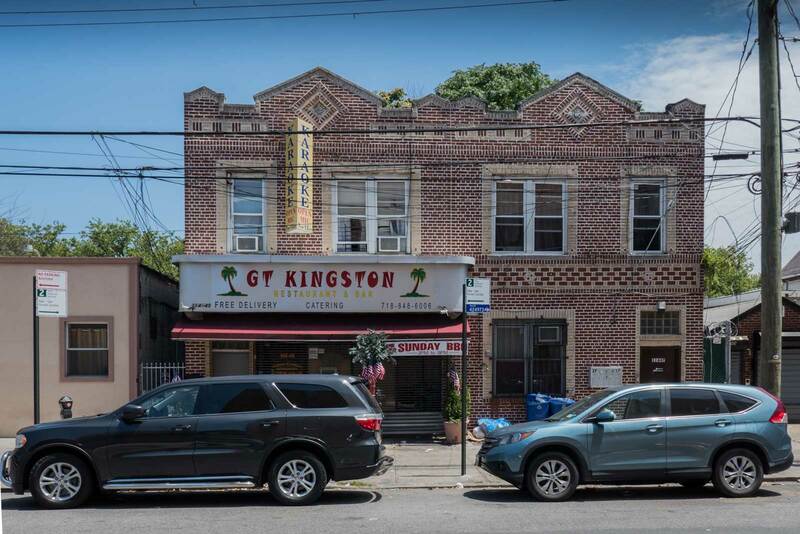 The majority of Guyanese businesses in New York are under the A train along Liberty Ave (between 103rd and 133rd Streets) in South Ozone Park. Guyana is South America’ only English-speaking country, so there’s no language barrier. The Guyanese accent is similar to that of Jamaicans, who are the fourth largest group of immigrants to New York City (Guyanese are fifth). The food is a curious mix of Caribbean, Chinese and Indian. The area northwest of JFK Airport is where most of Martin Scorsese’s 1990 classic movie Goodfellas was based. As Henry Hill says in the movie, “The airport belonged to Paulie.” The AirTran connects to the A train, which will take you near the old Robert’s Lounge, which is now a Caribbean restaurant. Henry Hill‘s boyhood home is still standing at 392 Pine Street, just outside of the Euclid Av subway stop in Brooklyn. Interested in a Goodfellas Tour of NYC? You can find some of New York City’s best Italian food in the Howard Beach and Ozone Park sections of Queens. Located in South Ozone Park, Don Peppe is one of those classic, cash-only, Italian restaurants sandwiched between the Aqueduct Racetrack and JFK Airport. The restaurant is nearly always full, despite being located far from touristy Manhattan and hipster Brooklyn. No paper menus. Try anything with clams! In Howard Beach, the stretch of Cross Bay Boulevard to the west of the Shellbank Basin is lined with classy Italian restaurants like Bruno’s, Vetro, Lenny’s Clam Bar, and Russo’s on the Bay. Some offer valet parking. Howard Beach is also accessible via the A-line/JFK AirTrain, which stops on the other side of the basin. 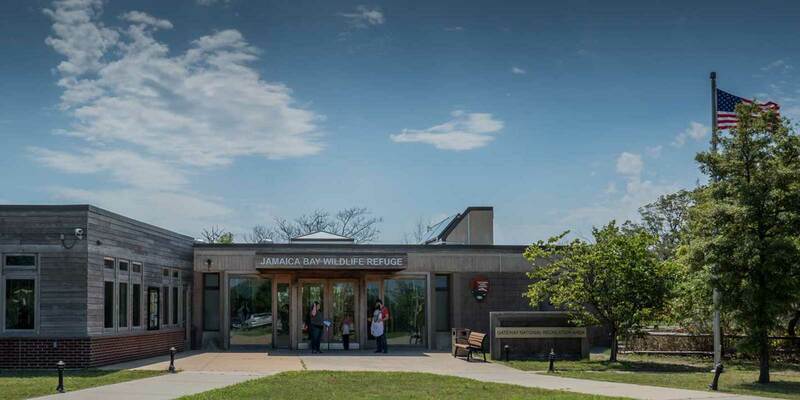 The Jamaica Bay Wildlife Refuge sounds amazing with its bird sanctuaries and its free entrance whilst the beaches sound so lovely with its street food- sounds like the perfect place for me to go on holiday. I’m adding it to my travelling itinerary. Wow! I never thought that there’s so much we can do and go near JFK International Airport. This would be a great help to consume time while waiting for the next flight. What a great post this is. I love the thought of doing fun things instead of waiting around an airport for hours. I think I would go to Rockaway Beach! Wow.. that’s so amazing! Godfella tour sounds so interesting <3 Great for passengers who have late flight schedule they can consume their time. Great ideas for spending time instead of just wasting it parading JFK. I will have these ideas in mind if I ever find myself in such a position. I think of all the places I would be most interested in, the part from the Goodfellas would be the most intriguing to me. I have only been out to NY once. But if I go again I will have to stop by. OMG that Guyanese food looks incredible!! Love this post.